It’s great to have friends and playing partners who pull you into the studio for adventures in recording. Check out the tunes below to get a sense of some of the projects I’ve worked on over the years If you like what you hear please zip over to the website shown and purchase the whole CD! 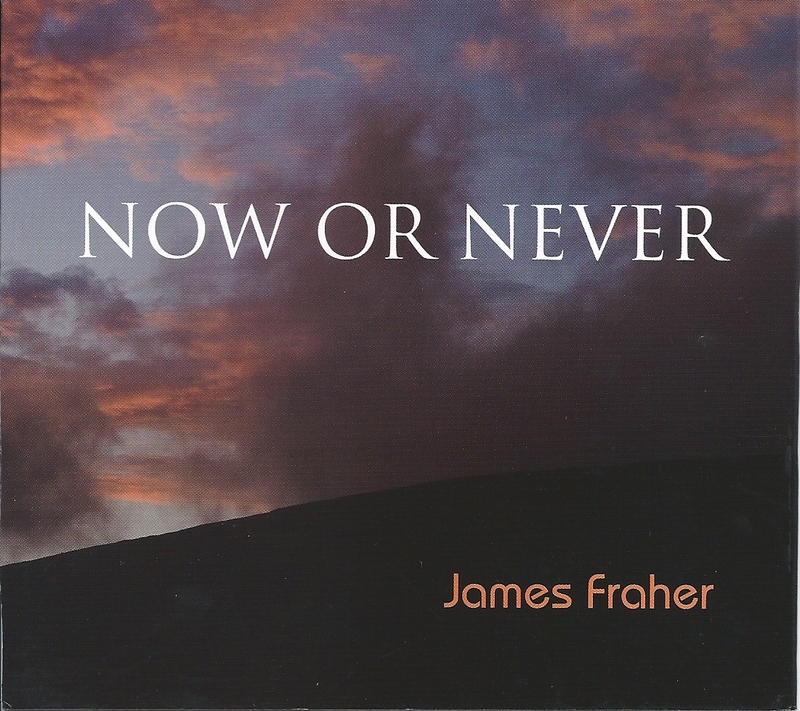 I had the pleasure of gigging around Chicago, around the country and around the world with my good friend, James Fraher. 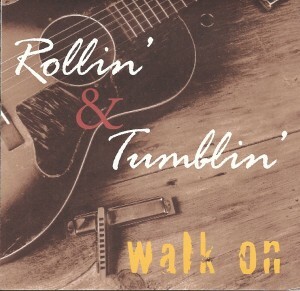 We played together as a blues duo for a number of years under the name Rollin’ & Tumblin’ –here are some tracks we recorded in 2000, accompanied on many by the great Jimmy Lee Robinson on guitar (and spurs). If you would like to purchase a copy of the CD please shoot me an email. 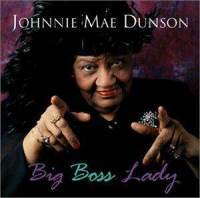 Johnnie Mae Dunson was a true matriarch of the Chicago blues and I was fortunate to gig with her regularly, usually accompanied by her son, the great Jimi “Prime Time” Smith on guitar. She’d done so many things in the blues: played as Jimmy Reed’s drummer, owned a bar, wrote dozens of songs. I got the call to play all of her Chicago Blues Fest gigs, watching her from onstage, I could never figure out how she could put the whole crowd into a hypnotic trance–don’t look too deeply into her eyes in the accompanying CD cover shot or it’ll happen to you, too. Full CD available for purchase at www.bogfire.com. 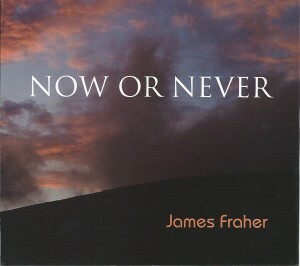 This is a 2011 recording project by my good friend and longtime musical partner, James Fraher. Jim now lives in County Sligo, Ireland and a number of the cuts on the CD show the Irish influence. Here we’re accompanied by a man who is surely one of the most capable blues guitarists on the planet: Billy Flynn. Zip over to Jim’s website (www.bogfire.com) to purchase the CD! Donna Herula is a master slide guitar player and I had the pleasure of gigging with her regularly throughout 2010, the same year we represented Chicago in the International Blues Challenge. This CD is a great recording of Donna’s talents, a tribute to Robert Nighthawk. 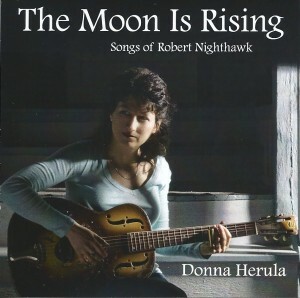 Be sure to visit Donna’s site at www.donnaherula.com, where both of her CD’s are available for purchase. Due to circumstances too weird for the web, I befriended a band in Northern Italy/Southern Switzerland. For a span of about six or seven years I snuck over to gig with them as often as possible and we toured throughout the Ticino region of Switerland as well as the northern lakes area of Italy. Tough gig but when called upon to be the ambassador of the blues in the area around Como, Italy, you just can’t say no. They’re terrific musicians and wonderful friends, with a penchant for telling jokes that do not translate well into English. 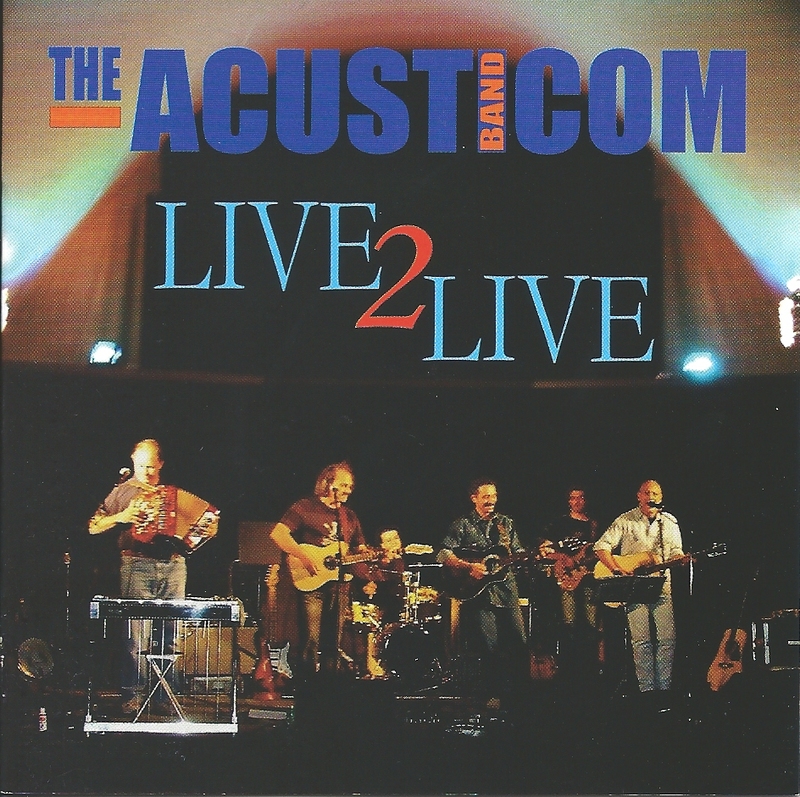 This is a live 2005 recording from a concert in Carona, Switzerland, a lovely village in the hills above Lake Lugano. 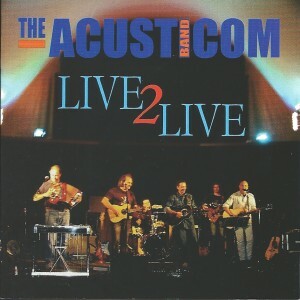 Visit their site at www.theacusticomband.com to purchase the two-CD set. (Luca Clemenz, guitar & vocals; Gianni Cipoletti, guitar & vocals; Gabriele Cipoletti, guitar & vocals; Ugo Binda, guitar & vocals; Kikko Caniato, bass; Tony Rotta, drums; John Jochem, harmonica). (Gianni Cipoletti, guitar & vocals; Gabriele Cipoletti, guitar & vocals; Ugo Binda, guitar & vocals; Luca Clemenz, guitar & vocals; Kikko Caniato, bass; Tony Rotta, drums; John Jochem, harmonica). 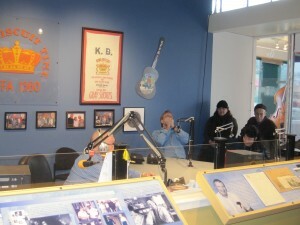 Playing live on King Biscuit Time with "Sunshine" Sonny Payne. Donna Herula guitar/vocal, John Jochem, harp. I couldn’t resist including this audio clip. This is a live recording of Donna and I when we appeared on the King Biscuit Time show, on radio station KFFA, Helena, AR. 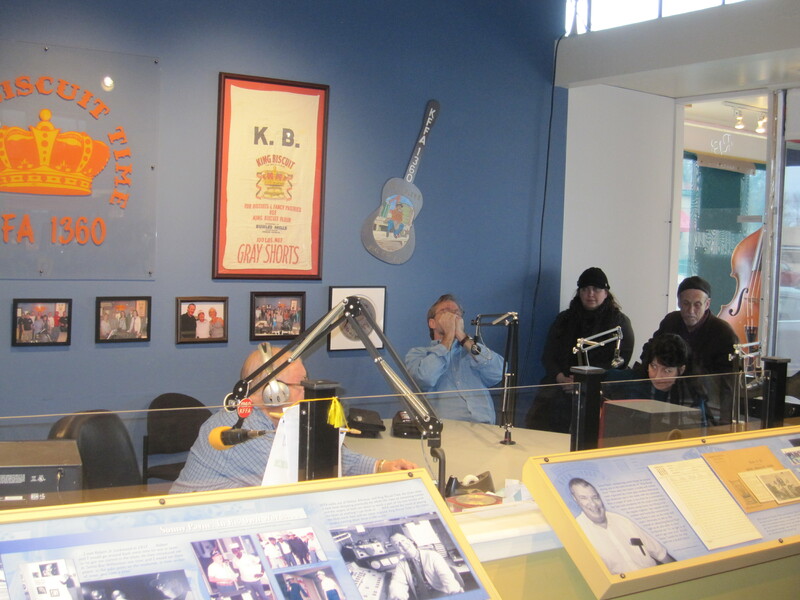 What an honor to be on the air with the legendary “Sunshine” Sonny Payne, whose historic role in popularizing the blues has been well documented. Sonny was gracious, very warm and supportive of our music–it was a terrific experience. Hope you enjoy this segment of the show.